This review covers a very basic vaping device, the Aspire PockeX. I know it seems a little out of my wheelhouse to review some of the more entry-level devices. I feel that there’s a certain segment of vapers sites like mine tend to leave out in the cold. I always gravitate towards whatever’s trending in the vaping industry, giant tanks, rebuildable this, rebuildable that. But, it turns out, a lot of people don’t like complicated. They want a simple and reliable vape. That’s where the Aspire PockeX comes in. Disclosure: this review contains affiliate links. The product in this review was provided by 180 Smoke. The PockeX fits the definition of simple in every way. There’s no removable batteries. No giant OLED screen you can program to display text of your choice on. No temperature controls, wattage settings, nothing. 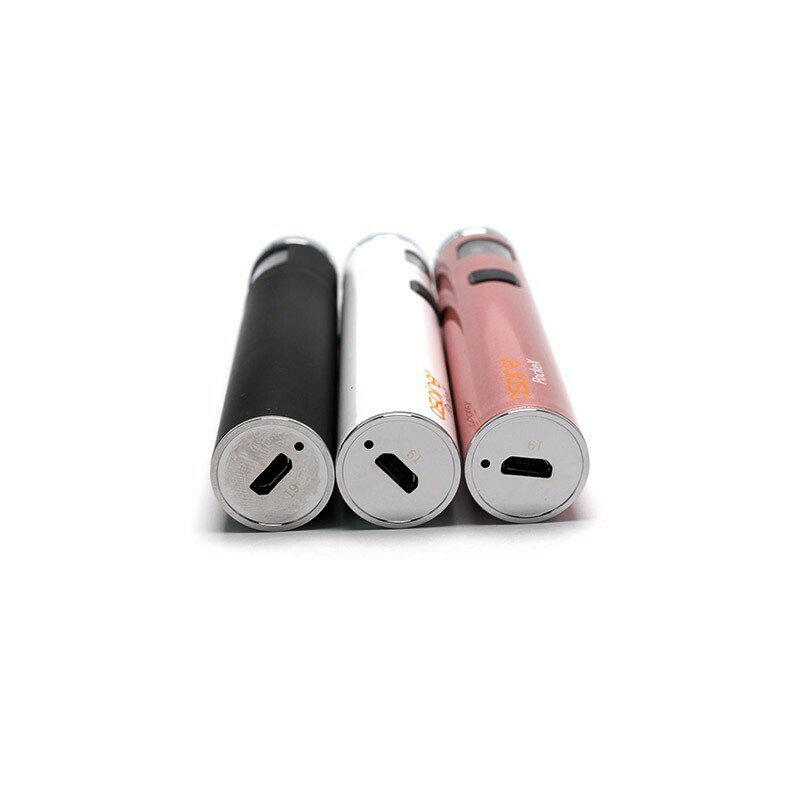 Instead, the Aspire vaporizer is a single tube battery with an integrated 2ml tank attached to the top. There’s a single button with a blue light around it that lights up when the button is pressed. There’s also a USB charging port at the bottom of the battery since there’s no external batteries to charge. Just because it’s a very simple device, don’t think that it’s basic, however. A lot of thought went into this thing. You still have important features you would expect in a decent vaping device. Most of the features are contained in the tank section. The 2ml tank is made of pyrex and features replaceable heads. Those heads are actually subohm heads as well. The coils are rated at .6 ohm. The tank’s design also makes for simple filling. Unscrew the cap and the head assembly stays attached to the cap. There’s no need for a fine-tipped e-liquid bottle. The only catch is you only fill the tank about half way up. If you overshoot, it’s going to get liquid all over the place when you put the cap back on. Not to worry, there’s a fill line on the surround covering the glass tank. Just pay attention to that and you’ll be fine. Also, should you manage to break the glass inside the tank, it can be replaced. In the simplest terms, everything about this device was designed with the novice vaper in mind. Speaking in performance terms, this device is still aimed at a certain kind of audience. Even though it has a sub-ohm coil modeled after the the bigger Aspire X coils, this is not a cloud machine. The output tops out around 23 Watts and drops from there. 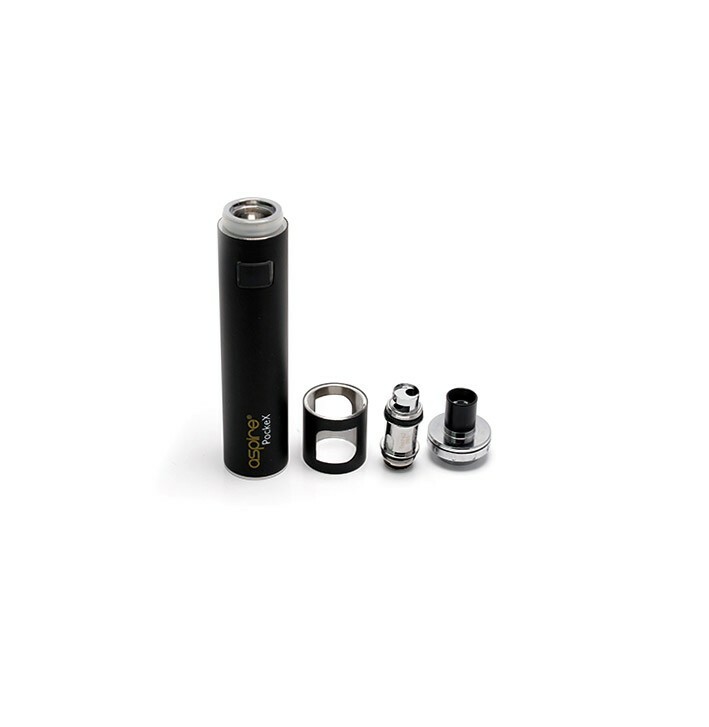 Aspire’s little vaporizer is very similar to an old-school eGo device in that it doesn’t keep a constant output but rather the output drops as the battery is depleted. Because of that, this device is best for mouth-to-lung vaping with higher nicotine levels, sort of how we used to do it back in the day. 180 Smoke provided me with some pretty tasty e-liquids to use with this device as well. It still puts out decent clouds of vapor with a VG heavy liquid. The battery capacity is only rated at 1500 mAh, which is a bit anemic. But, the lower power demands of the system mean that the battery does last quite a while. It takes a lot more juice to fill a room up with fog than it does to puff on a more basic device. From an ease of use standpoint, this thing can’t be beat. It’s simply fill and go. You still have the option to turn it off with three clicks of the button, but otherwise, there’s no settings so it’s pretty intuitive.